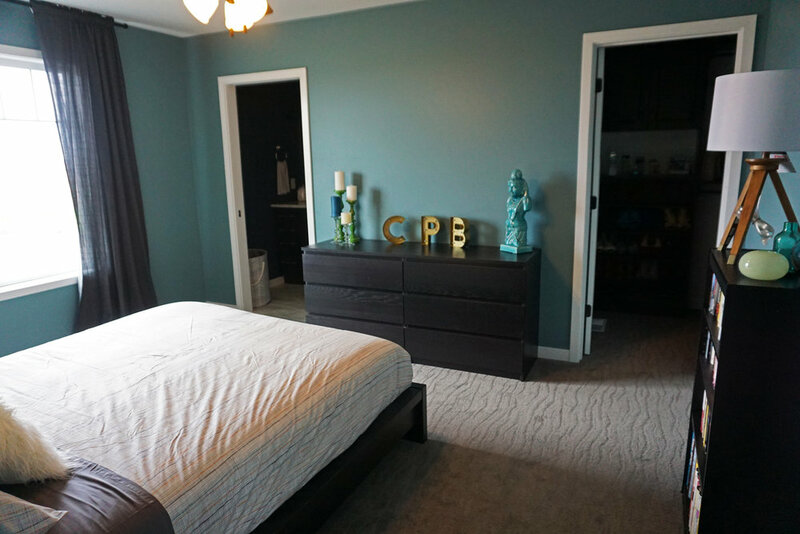 Decorate Like A Pro... — Crown Point Builders, Inc. Decorating a new home can be overwhelming. But don't let that keep you from the interior of your dreams! Our experienced stylists explain their best kept secrets and tricks for a gorgeous home on any budget. Read on! This double-duty living room/entry needs definition and style. A thick wool rug adds warmth and separates the seating area from the front entrance. Keep it simple: Choose a few large, colorful photo books for the coffee table and add a quirky ceramic piece for a pop of color and whimsy. The central kitchen is built for tough duty, but is full of beautiful details. 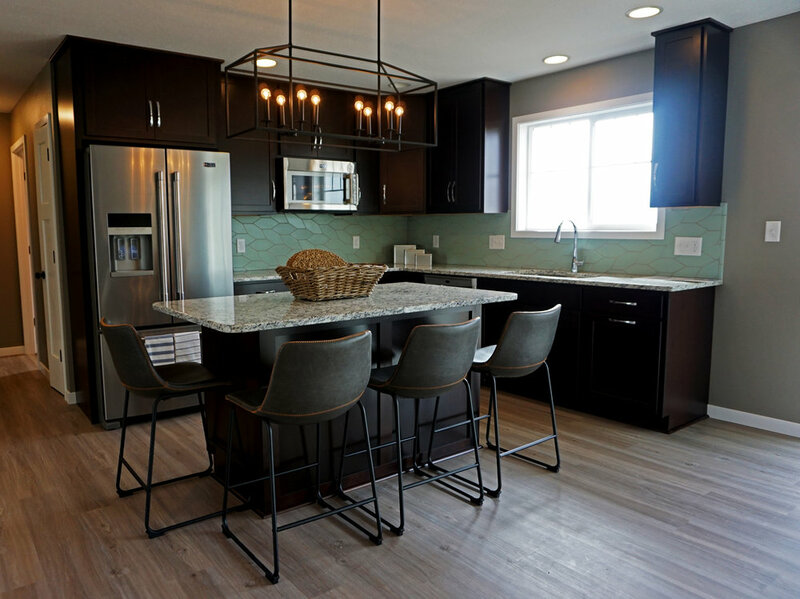 Sparkling granite tops and handcrafted, recycled clay tile backsplash are durable+gorgeous! A classic lemon hand soap and crisp white mugs invite you to a coffee break in the morning sun. *Designer trick: Designated coffee maker location close to the sink with storage above for accessories. 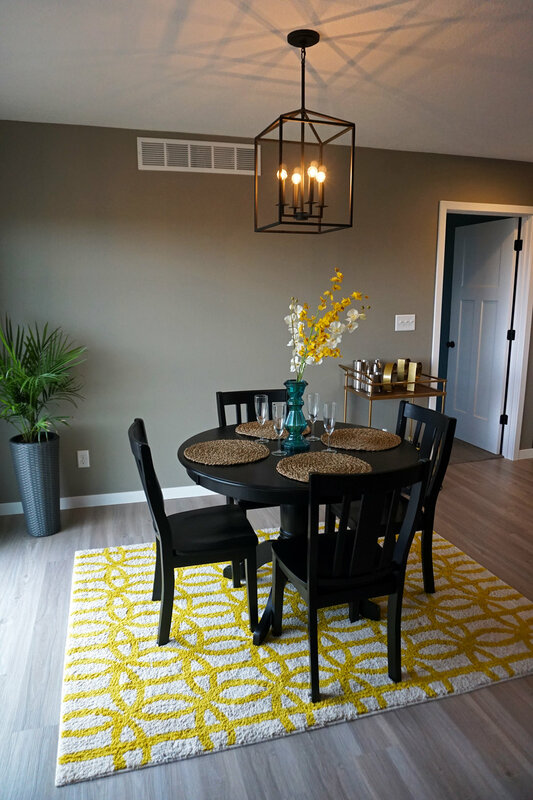 To define an open dining room, start with a bold rug. A dark table is the perfect contrast to neutral grey tones. A bar cart keeps party essentials off the table yet close at hand. Mixing natural, tactile textures and smooth, glossy finishes takes your decor to the next level. *Designer trick: Tall, slim flowers add lots of impact without distracting from the view. Accessorize with correct scale: Use fewer, larger scale items to fill surfaces and add visual impact without adding clutter. 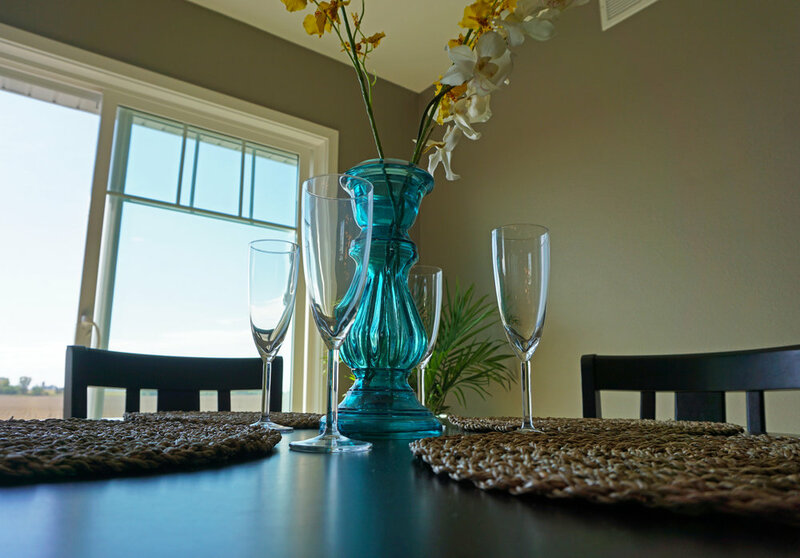 A lamp and a few colorful glass vases will reflect soft moody light around the room. Personalize the space with a well organized, treasured collection. Make the most of any size closet with meticulously planned closet systems. Fit more belongings and access them quickly with well defined storage areas. A place for everything and everything in its place. Showcase a pretty shoe collection while keeping them clean and out of the way. Add a counter area for little treasures or jewelry. The happiest room is at the intersection of efficiency and beauty. Take a simple room into style overdrive by adding unexpected details like this vertical tiled shower niche; practical AND gorgeous. Sometimes the best styled surface is one with a single, simple accent. *Designer trick: Make the most mundane items look chic by storing in a lovely glass container. Take a chance; have your way with color! This fresh, fun children's room is the color of a never-ending play day. Provide plenty of storage for toys and accessories while keeping several favorite items on display. Keep colors in the same family for a cozy feel. Sleek, cool finishes are a flexible backdrop for multiple styles. Make a room playful and inviting with pops of color. *Designer Trick: Use hooks rather than towel bars for super easy organization. 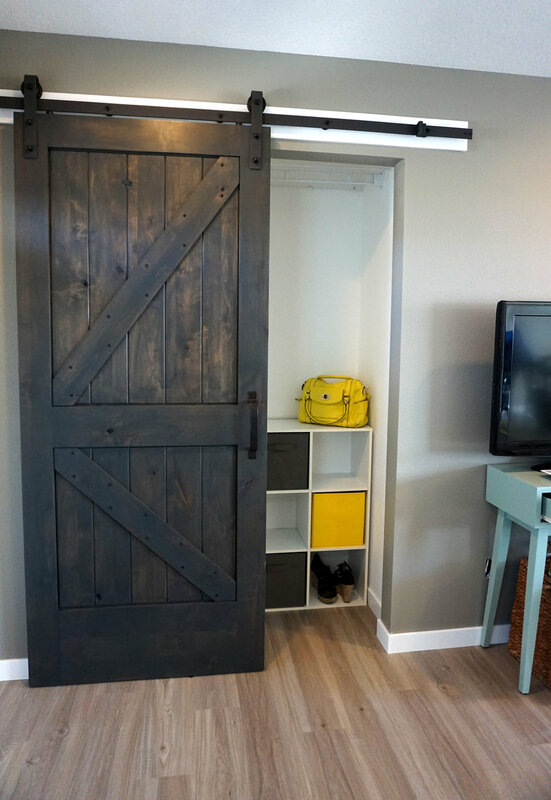 Turn a simple closet into a focal feature with a decorative sliding door. Added bonus; sliding doors open and close easily without interfering with walkways. 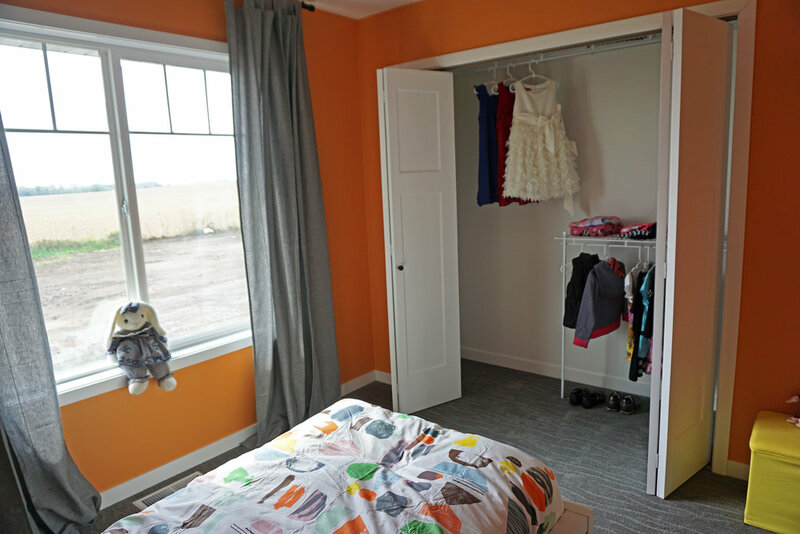 Make the most of a small entry closet with double height storage. *Designer trick: the coat closet shelf is extra high to allow for a shoe/storage cabinet below.